In the album number 1 of the series "Classics for the child" included the works of A. Vivaldi. Everyone is aware of the positive influence of classical music on the development of the child. Vivaldi's works have a special impact on the development of the emotional sphere of the child. Listen, enjoy, develop! 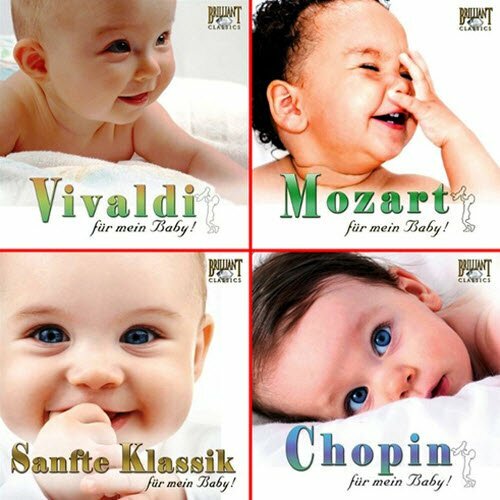 Album number 2 of the series "Classics for the child" - a collection of the best classical Mozart's works, which have a beneficial effect on the harmonious development of the child. Album number 3 of the series "Classics for the child," which included the wonderful works of Chopin, Dvorak, Mozart, Schubert, Liszt and other composers. Everyone is aware of the positive influence of classical music on the development of the child. Wonderful works, excellent sound quality. Listen, enjoy, develop! Album number 4 of the series "Classics for the child," which included the wonderful works of Chopin. Everyone is aware of the positive influence of classical music on the development of the child. Professional performance, excellent sound quality. Listen, enjoy, develop!